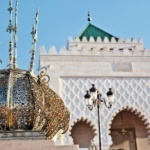 Morocco had a vision to promote renewables at a time when oil prices were high and they undertook regulatory reforms. Now they are planning to generate 42% of its energy from renewables by 2020 with even more ambitious plan to raise this percentage to 52% by 2030. It is also enabled by very high rate of insolation – about 3,000 hours per year up to 3,600 hours in the desert. Five new power stations are to be constructed, both photovoltaic and concentrated solar power technology. The fact that Morocco is the only African country with a power cable link to Europe provides additional benefits planned to result from ambitious pan-continental Desertec Industrial Initiative. Morocco’s king will switch on the first phase of a concentrated solar power plant that will become the world’s largest when completed. The power station on the edge of the Saharan desert will be the size of the country’s capital city by the time it is finished in 2018, and provide electricity for 1.1 million people. Noor 1, the first section at the town of Ouarzazate, provides 160 megawatts (MW) of the ultimate 580MW capacity. Some $3.9bn has been invested in the Ouarzazate solar complex, including $1bn from the German investment bank KfW, $596m from the European Investment Bank and $400m from the World Bank. This will be followed by Noor 2, the next stage of the solar complex. After it is switched on, the plant will initially provide 650,000 local people with electricity.